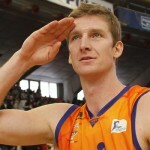 The 7Days EuroCup semifinals tipped off on Tuesday night with some exciting results. 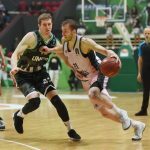 ALBA Berlin defeated Morabanc Andorra 102-97 and Valencia Basket managed to come from behind to beat Unics Kazan 69-64. 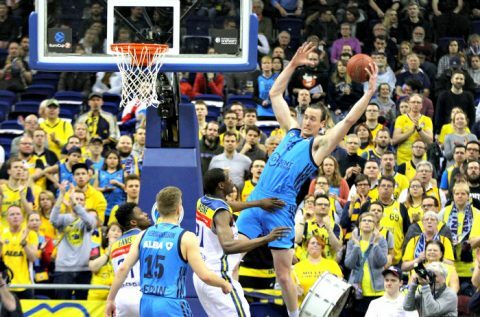 This was a scoringfest hosted by ALBA Berlin and Andorra found it difficult to keep up. ALBA’s 3-point shooting was a bane to their guests as the team went for an impressive 11-for-22 from deep. Luke Sikma was beast, dropping a well-rounded line that was highlighted by a team-high 20 points, seven rebounds and six assists. Peyton Siva added 18 points and nine dimes of his own to help facilitate things on the offensive end. The team was on fire early and set a new club record recording 59 of their 102 points in the first half. Andorra’s offense was no slouch either. They were quarterbacked by Andrew Albicy who came through with an 18-point, 12-assist double-double. It was a tough loss but Andorra will get a chance to even up the series as the game heads to their home turf, where they are yet to be defeated. That game should some must-watch basketball. This game was a barn burner as the result boiled down to the fourth quarter. 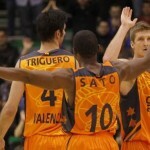 Valencia had to rally to overcome an eight-point lead to surge ahead in the final minutes and secure the lead and eventually the win. Will Thomas helped power that run. He may have scored just seven points but they came at a critical time. 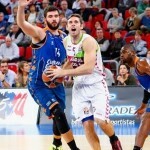 Fernando San-Emeterio and Mike Tobey led the team with 14 points, apiece. Unics Kazan struggled from behind the arc, making just 4-of-21 from downtown. Then again, Unics fared just slightly better, going 6-of-23 from long range. 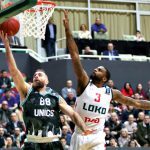 Just like Andorra, Unics is undefeated at home and will get a chance to use their homecourt to provide Valencia with an unwelcoming greeting and hopefully, will even up their series.